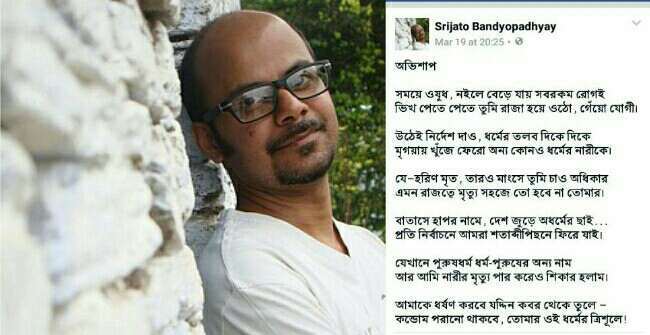 An FIR has been lodged against Bengali poet Srijato Bandyopadhyay for allegedly hurting religious sentiments through a post on social networking site Facebook, reports said. 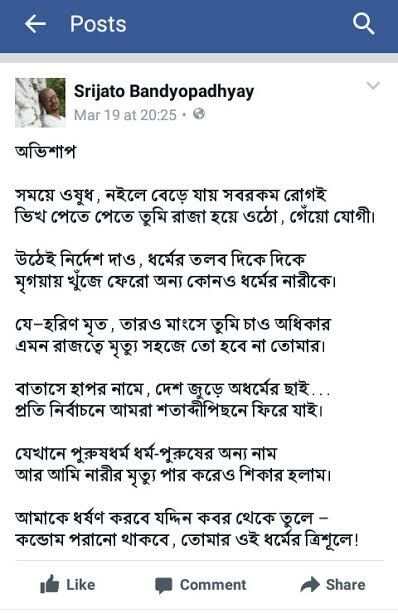 According to reports, after Yogi Adityanath was selected as the Chief Minister of newly elected BJP-led government in Uttar Pradesh, poet Srijato wrote a poem and posted it on his Facebook wall on Sunday late evening. Alleging that few stanzas of the poem are harmful for religious sentiment, Arnab Sarkar, a resident of Bagha Jatin Colony area under Pradhan Nagar Police Station limits in Siliguri city of north Bengal, on Monday lodged a complaint against Srijato Bandyopadhyay at Siliguri Metropolitan Police's Cyber Crime Section. Reacting on the issue, poet Srijato said, "Though I'm not giving importance to the complaint, but it's true that the incident is funny and disappointing." "This incident proved that there is lack of tolerance in the society. 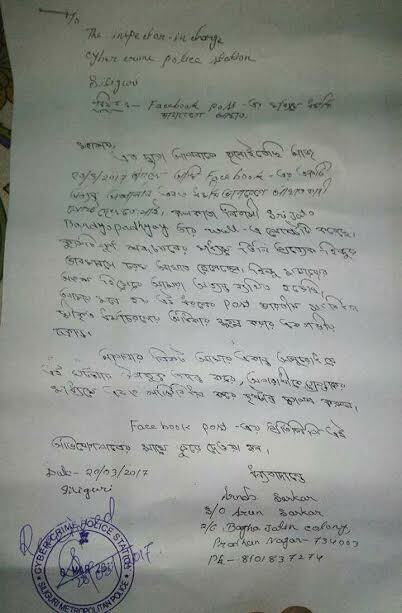 I'll take legal assistance in future if needed," Srijato added.